The purpose of this study is to learn the best ways to develop and deliver text messages to encourage individuals to do regular physical activity in daily life. The app is used in a study comparing different versions of the program to see how effective they are at increasing physical activity and improving health. Help us better understand how to use text messaging technology in treatment for health concerns. This application has been developed as part of an Agency for Healthcare Research and Quality-funded research study (IRB Number: 17-22608) and has been approved by the UCSF Institutional Review Board (IRB). DIAMANTE is a free application created by Adrian Aguilera, Courtney Lyles, and Audacious Software and is used in the Diabetes and Mental Health Adaptive Notification Tracking and Evaluation (DIAMANTE) Study to understand how text messaging programs can be used to increase physical activity. 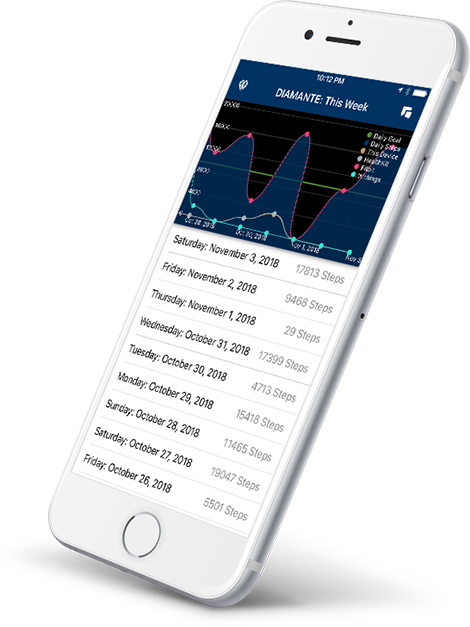 DIAMANTE builds upon our past work deploying mobile messaging technologies to encourage healthy living and positive behavior change in physical and mental health settings. 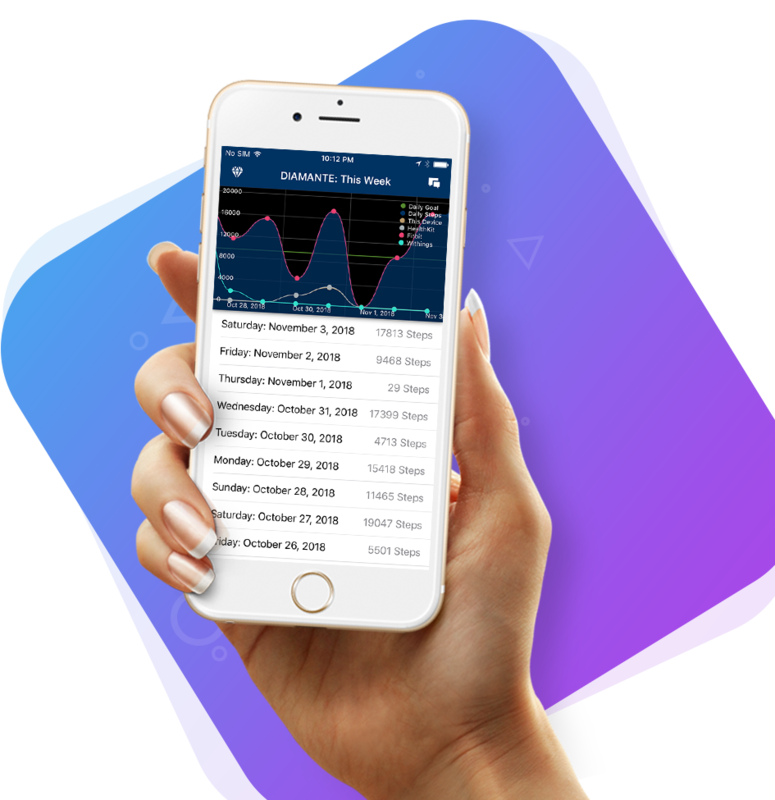 DIAMANTE uses your mobile device to monitor how many steps you take each day. It sets a daily step goal for you and allows you to review your progress. Participate in one of several versions of a texting program to encourage physical activity in everyday life. Your data and privacy are protected by medical-grade security and encryption. Your participation will help us improve the science behind text messaging programs and physical activity in everyday life. Mobile and cloud software development provided by Audacious Software. © Copyright 2018 Adrian Aguilera & Courtney Lyles.